Former shareholders of Rock Band developer Harmonix last week filed a U.S. lawsuit against parent company Viacom, accusing the media giant of trying to scheme its way out of paying performance-based bonuses. The ex-shareholders group -- which includes Harmonix founders such as Alex Rigopulos and Eran Egozy, as well as other early funders of the Boston-based developer -- is accusing Viacom of manipulating costs after the massive initial success of Rock Band to avoid a potentially giant earn-out payment. The complaint, obtained by Gamasutra early this week, stems from a 2006 acquisition deal that has soured over the past four years. Viacom acquired Harmonix in September 2006 for an initial sum of $175 million -- plus potentially hundreds of millions more in performance-based earn-outs -- as music-based video games were on a steep sales climb. According to the complaint, the earn-out formula would be 3.5 times any gross profit in excess of $32 million earned in 2007, with no cap. This formula potentially put Viacom on the hook for huge payments to former company shareholders, dependent entirely on the success of the Rock Band franchise. As revealed in the lawsuit, the 2008 earn-out payment would be under similar terms, although gross profit would have to be over $45 million. Overall, the ex-shareholder group is asking to "recover damages arising from Viacom's manipulation of these earn-out payments by diverting opportunities from Harmonix for its own benefit in breach of the implied covenant of good faith and fair dealing that inheres in Viacom�s contract with Harmonix." The history of the period after the Harmonix acquisition seems to be a positive one for both parties. Just over a year after the acquisition, the first Rock Band title launched to big sales, selling 382,000 copies in its first month on the market. 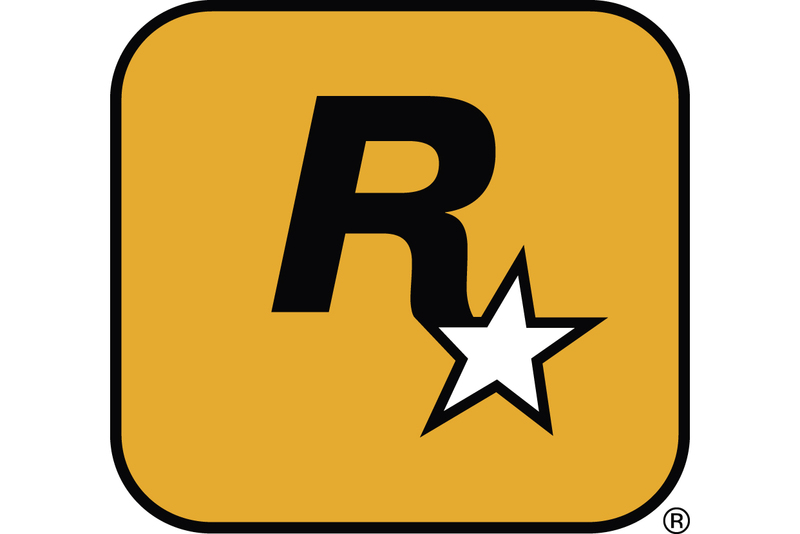 Overall, the Rock Band franchise, distributed by Electronic Arts, surpassed $1 billion in sales in North America through March 2009, according to statistics released by Viacom and its MTV division. In fact, Viacom has already sent Harmonix's shareholders $150 million in anticipation of earn-out payments for 2007, for which it set aside over $200 million, according to its SEC filings. But it has never paid any money for the alleged 2008 earn-out. And in company financial statements starting in early 2010, Viacom started to claim in its financials that "we believe that we are entitled to a refund of a substantial portion of amounts previously paid", although it has never revealed a public reason for that assertion. As a result, the two companies have recently referred the issue of earn-outs to arbitration. The earn-out agreement covered the years 2007 and 2008, based on the sales and profits of the Rock Band franchise during those periods. The suit does not mention any other stipulations to these payments, which would suggest they are thus not subject to adjustment due to the category's crash after 2008. The numbers are currently being crunched by a "resolution accountant". In an indication of how relations of soured, Viacom is currently looking to sell Harmonix, with company boss Philippe Dauman claiming that "the console game business requires an expertise and scale that we don't have." While the amount actually owed by Viacom to Harmonix's former shareholders under the terms of the acquisition can be determined by careful accounting, the suit takes issue with Viacom's behavior after the acquisition. The complaint suggests that in view of the potentially enormous payments it would owe Harmonix based on the tremendous success of Rock Band under the earn-out agreement, Viacom sought ways to reduce payments to Harmonix's shareholders, including a mid-earnout negotiation of the distribution agreement with Electronic Arts' EA Partners division. For example, the plaintiff alleges that Viacom "decided to forego the opportunity to reduce EA�s distribution fees during 2008 (or in any other way enhance Harmonix�s net income or Gross Profit for 2008), and instead demanded benefits for itself (rather than Harmonix) in exchange for allowing EA to continue distributing Rock Band." The ex-shareholders believed Electronic Arts would have been flexible with the fees after the success of Rock Band showed huge potential for future iterations. A lower distribution fee from EA would mean higher profits, which would lead to higher earn-out bonuses for the ex-shareholders. The complaint alleges: "Although a reduced 2008 EA distribution fee would have increased Harmonix's gross profit and operating profits in 2008, Viacom realized that every $1.00 of distribution fees that Harmonix saved during 2008 would require Viacom to pay an additional $3.50 of earn-outs to the [ex-shareholders]." Instead, the suit alleges that Viacom "demanded benefits for itself (rather than Harmonix) in exchange for allowing EA to continue distributing Rock Band." Those alleged Viacom benefits inked in a 2008 deal with EA included commitments by EA to buy millions of dollars in ads from Viacom subsidiary MTV Networks and other Viacom outlets, a reduction in Rock Band franchise distribution fees beginning in 2009 -- after Harmonix's earn-out period -- and "acceleration of 2009 payments to 2008." The suit claims that the former shareholders "have been damaged by Viacom�s breach", and that "...the amount of such damage is reasonably ascertainable as the additional 2008 Earn-Out Payment Amount that the Merger Consideration Recipients would have received if (A) Harmonix had received the value to Viacom of EA�s advertising commitments and accelerated cash payments, and (B) Harmonix had paid during 2008 the lower distribution fee that was applied in 2009." Although a significantly smaller amount of money, also at issue is $13 million that is held in an escrow account that was established at the time of the merger. The Harmonix shareholders claim that three days before the end of the agreement to release the escrow, Viacom sent over "an Indemnity Notice in which it stated that it was providing notice of claims for indemnification", specifically around music game-related patent infringement allegations. This is interesting in particular because it illuminates the multiple lawsuits around the music video game space, and how a number of them have been settled or dismissed, including 1st Media LLC v. doPi Karaoke, Inc. et al., Gibson Guitar Corp. v. Harmonix Music Systems, Inc. and Gibson Guitar Corp. v. Wal-Mart Stores, Inc. et al., and lawsuits involving Guitar Hero creator Activision (subsequently settled) and Konami (according to the complaint, "dismissed... with prejudice", and also allegedly outside of the date range for holding the escrow.). This part of the suit claims the indemnification was incorrectly served by Viacom, and in addition, the four patent-related suits referenced have now all been settled and/or are not relevant to the phrasing of the indemnification agreement, so Viacom should release the $13 million to the shareholders. Gamasutra will update this story if any response from Viacom regarding the lawsuit is received.